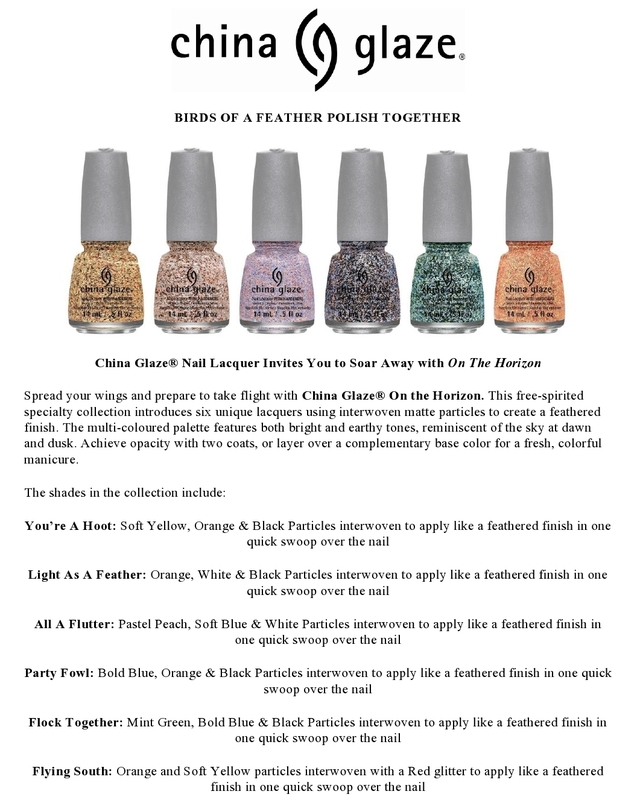 i'm happy to share a new press release from China Glaze with you all today! check out their new On The Horizon collection, which embraces the matte glitter trend fully :D enjoy! 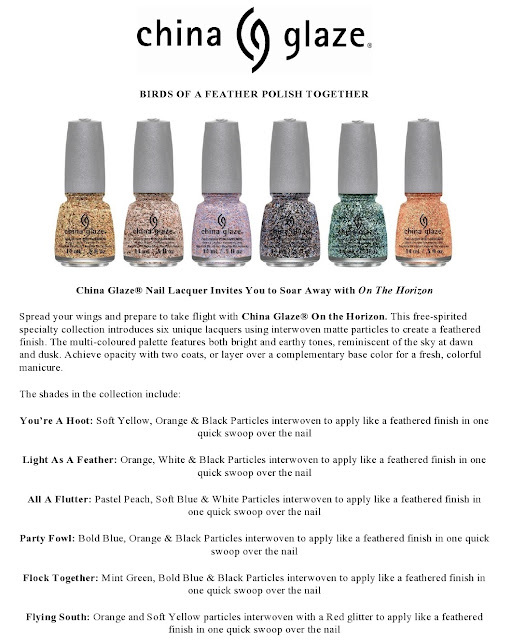 The China Glaze® On the Horizon collection will be available in August 2013 at fine salons and beauty supply stores nationwide with an SRP of $10. China Glaze® nail lacquers are available through salons and professional beauty supply stores nationwide. For more information, please visit www.chinaglaze.com or follow China Glaze on Facebook (@ChinaGlaze), Twitter (@ChinaGlazeOfficial), Instagram (@ChinaGlazeOfficial), Pinterest (pinterest.com/chinaglaze) and YouTube (youtube.com/chinaglazeofficial).